What do we do about that. First clean the venting system often it is blocked or clogged. This could cause damage to the thermo-fuse and start dryer fires. Dangerous!!! Cleaning the venting is essential. In our years of cleaning venting we have come across birds building nest, and mice trying to make homes in vents. If your vent is longer than 10 feet call a professional duct cleaning service they have all the tools for this service. The never-ending drying cycle. This is problematic. Something along the lines of a timer or control board failing. 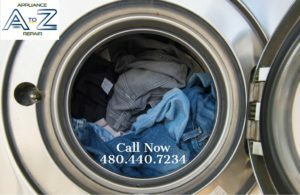 Leonard Mullen 480.440.7234 Can accurately diagnose what is going on the can fix this quickly.